In 2011 I was introduced to “ho’oponopono” by my wonderful teacher, Wendy at Antioch, Santa Barbara. I consider that ho’oponopono is a shortcut of my loving kindness.Whenever I interact with someone and I feel that that person is in a difficulty situation, I would visualize the power of ho’ oponopono to that person. This week I practiced addressing silently “I Love You” (p.61), I experienced my physiology has immediately shifted to a happy mode. It is very powerful in a different purpose of using ho’ oponopono. I posted the picture even the food gave me love…ha ha.. The other day I almost finished my breakfast I saw the heart and I found that it was the skin of almond nut. It’s super cool!!! I love you my delicious food!!! When I read up to “If I have no other qualities I can succeed with love alone (p.62).” I recalled that around three years ago, at one of my meditation groups, a visitor, Mr. Rahu, talked to me “your radiant smile is more important than your English pronunciation so keep continuing practicing meditation and cultivating your confidence.” I am grateful and thankful for your kind advice. I am getting better and better everyday. I am very happy that I am a part of MKMMA!!! Thank You to Mark Januszewski. I am also very excited about a compass. I got one yesterday; it is a mini four-in-one – compass, whistle, thermometer, and magnify. It’s cute… I still would like to buy more, but just compass only. I intended to get more by tomorrow. I stopped wearing a watch more than 20 years ago, and I never felt that I miss the watch.… Until last Sunday after listening to Mark J. I felt motivated and tempted to wear a compass. Happy Compass!!! This entry was posted in MKMMA on November 5, 2015 by Nisa. I can feel the loving energy in your post Nisa! You have made my morning a happy, loving morning to start the day! I love the heart in the almond skin! I also agree with Mr. Rahu. You have a loving radiant smile and anyone can feel the loving energy in it! I know you will have another loving Day! Nisa another wonderful post! 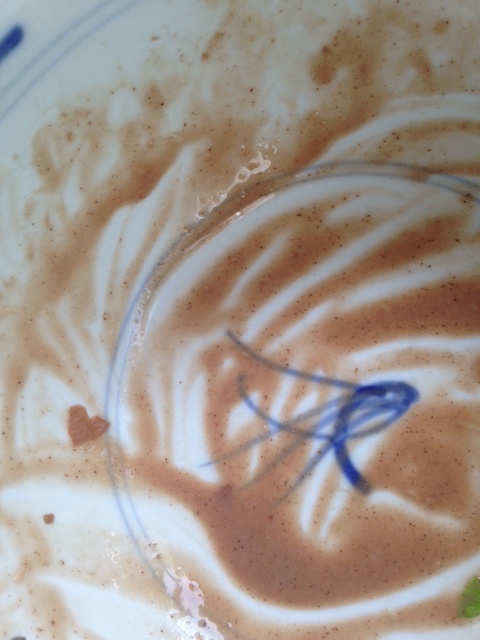 Even your food and drink sends you love and I send you love too! Thanks for the happy and loving post! You rock! Great ahas Nisa! I appreciate your stories!